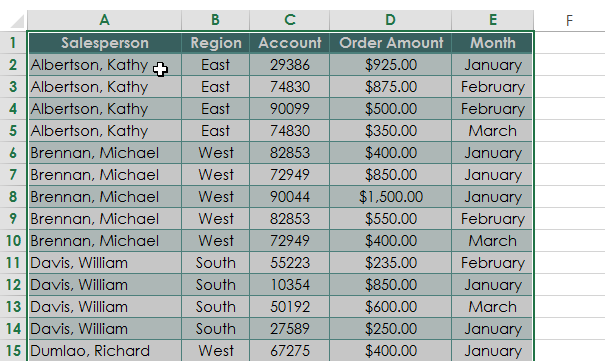 Home > Blogs > How to create Pivot Table in Excel? 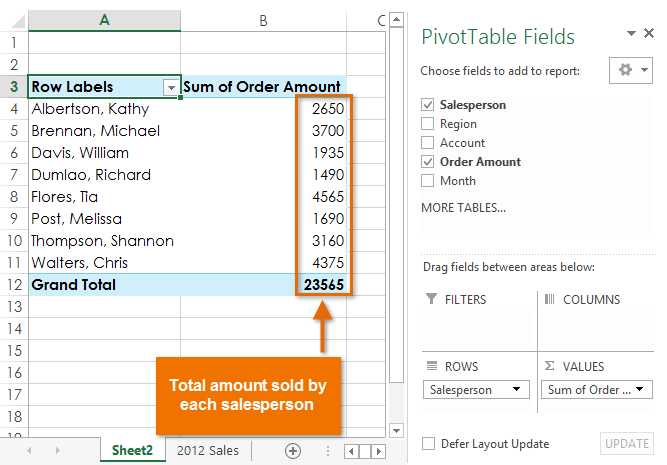 Once you create a PivotTable, you’ll need to decide which fields to add. Each field is simply a column headerfrom the source data. 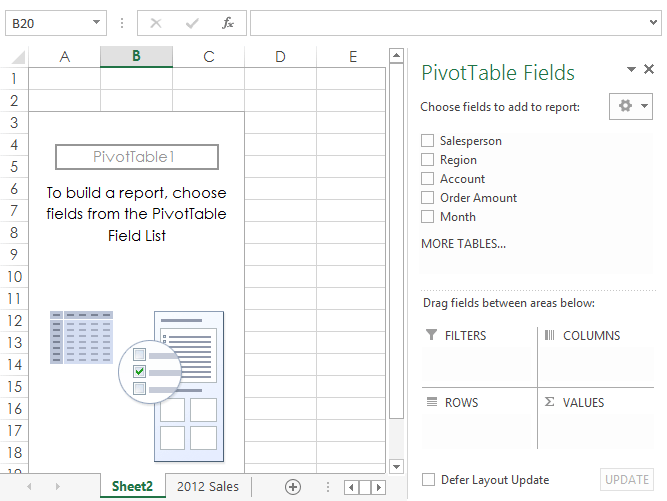 In the PivotTable Field List, check the box for each field you want to add. 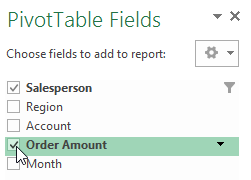 In our example, we want to know the total amount sold by each salesperson, so we’ll check the Salesperson and Order Amount fields. The selected fields will be added to one of the four areas below the Field List. 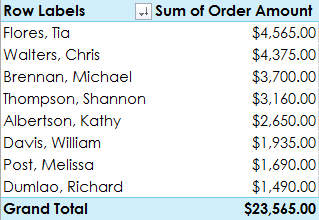 In our example, the Salesperson field has been added to the Rows area, while the Order Amount has been added to the Valuesarea. Alternatively, you can click, hold, and drag a field to the desired area. 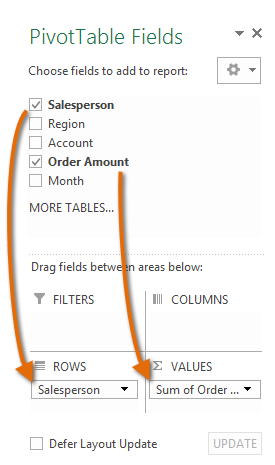 Just like with normal spreadsheet data, you can sort the data in a PivotTable using the Sort & Filtercommand in the Home tab. You can also apply any type of number formatting you want. For example, you may want to change the Number Format to Currency. 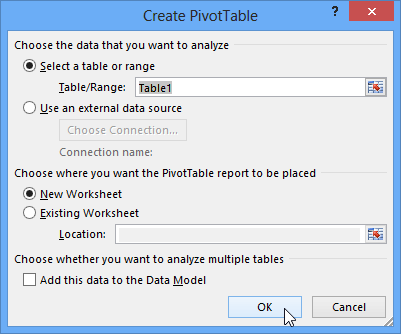 However, be aware that some types of formatting may disappear when you modify the PivotTable.